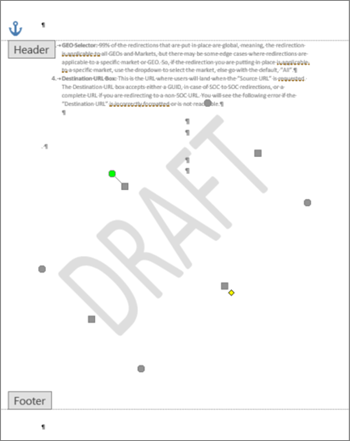 Double-click near the top of the page to open the header area. Put your cursor over the watermark until you see a 4-way arrow. Repeat as necessary to remove all watermarks. Select Design > Watermark. 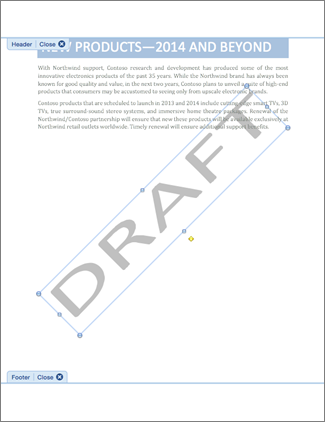 (In Word for Mac 2011, select Page Layout > Watermark). 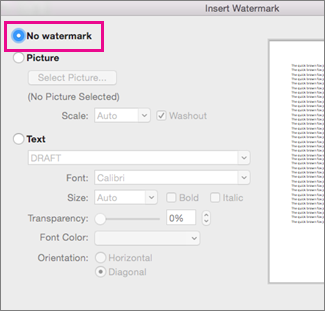 In the Insert Watermark box, select No watermark. Click the watermark to select it.